Good luck finding a proper English bitter in the United States. You can more easily locate gose—an obscure, recently extinct beer made in only a couple of breweries in its native Germany—than the national ale of Britain. The same Britain, to underscore this irony, that served as the model for American microbreweries 40 years ago. Yanks still make pale ales by the legion, and our IPAs were at least inspired by the English predecessor. But a 3.8% bitter, with native yeast esters, local hops and bready malts blossoming under the effect of cask conditioning? You have to go to the source. For reasons no one can untangle, Americans never took to cask ale. Maybe it’s because too few of us have managed to visit Britain, found ourselves in a cozy, wood-paneled pub, with hands encircling a third pint. Because for those of us who have, the experience has lingered and developed a patina in our memories. My first such experience is still the most indelible: the Jack Horner, in Bloomsbury, London, after a long flight from the West Coast. A Fuller’s pub, with meat pies and tall glasses of London Pride. If your dalliances happened with Timothy Taylor Landlord or Harveys Sussex Best or Adnams Southwold, I’m not going to argue. There are quite a number of excellent bitters in England—and even more lovely pubs in which to fall in love with them. But even stripped of the nostalgia, my vote goes to Pride. It has that lovely woody color that confuses Americans and a palate that, to IPA drinkers, is anything but “bitter.” “Balance” would be a more apt name. In London Pride’s case, all the hallmarks of English brewing are in attendance: an orangy, marmalade nose of fruity ale esters, a touch of the toffee malts and a hint of delicately floral hops. Your attention can be drawn to any of them, or you can take in the way they form such a beautiful chorus. Also: the soft mouthfeel that can only come from the lower levels of natural carbonation, contrasted by the water’s minerality and stiffness. Yeast, malt, hop, water and cask-conditioning—a harmony in five parts. Beyond the pure sensory experience, there’s the antiquity and continuity London Pride represents. Makers of bitter are keepers of the old ways. In the Midlands, for example, Marston’s continues to make Pedigree on a Burton Union system, the last in England. Hook Norton still uses a steam engine. Samuel Smith still racks its bitter into oak casks. Even cask conditioning itself is an ancient and almost entirely abandoned practice. Letting beer ferment in a cask, settle, then discharge with natural carbonation into the glass with only air to replace escaping ale—all are recipes for mishap other countries avoid. In Chiswick, west London, the brewers at Fuller’s also practice an ancient and basically extinct art: parti-gyle brewing. The process for mashing grain now involves the universal practice of sparging—or rinsing the grain after it has soaked in a bath of warm water. Before 1800, breweries didn’t make beer that way. Instead, a brewery would fill the mash tun and draw off multiple worts (or “gyles”). The first mash would produce a strong wort, while subsequent ones grew ever weaker as the barley was washed of its sugars. In some places each wort was fermented as a stand-alone beer, but English brewers blended the worts to make different beers. That process, of drawing off successive worts and then blending them into different beers, is parti-gyle brewing. And it’s what Fuller’s does. It is shocking for drinkers to learn that these “different” beers they’ve been drinking for years come from the same mash and use the same hops, but it’s true. In many cases the old ways are preserved partly because they make for good stories, and stories sell beer. In others, breweries have convinced themselves the old ways ensure character unavailable through modern techniques. Fuller’s is more pragmatic. Longtime head brewer John Keeling was entirely unsentimental when I asked him about it. The best brewers tend to strip the romance out of their descriptions of their beers—that nonsense is for punters (customers) and writers. Well, OK. Keeling can stick to his guns about the pragmatism of parti-gyle brewing. But the next time you’re in one of those venerable London pubs, hand slowly warming your pint, consider the long sweep of history and how many others have gone before you. Think about what plots have been hatched over those pints, what loves nurtured or mourned, what sonnets penned. Then think of that old way of making beer, which Georgian brewers employed centuries ago. And finally, have another drink of London Pride and tell me you can’t taste something special. Jeff Alworth is the author of The Secrets of Master Brewers and The Beer Bible. 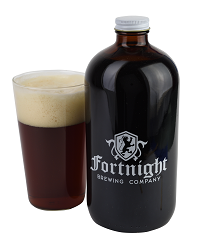 Tasting Notes: The “British” is strong in BC, where you’ll find a wealth of cask ales. 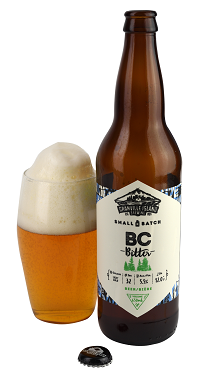 Granville Island has reinvented the bitter with a honey-colored ale made entirely of local ingredients. It has a delicious fresh-baguette aroma and a bready base; unfortunately, the astringently grassy hops are a bit too bitter. Tasting Notes: Bitters are sometimes so full of caramel malts that they have a maple syrup cast, but Fortnight takes this to the extreme; this is a fully brown ale with honey highlights. Huge esters—blackberry comes to mind—key the aroma. A rounded, gently sweet beer with notes of roast and tobacco. 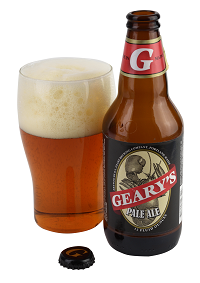 Tasting Notes: Among American breweries, few hew closer to the English blueprint than Geary’s. Its classic pale is a deep amber, with a pure pubby nose of toffee and fruity esters. Those elements carry through on the tongue, along with a touch of minerality and an impressive pop of clean bitterness.